As June comes to a close, I thought that I would share with you the products which have won their way into my favourites for the month. 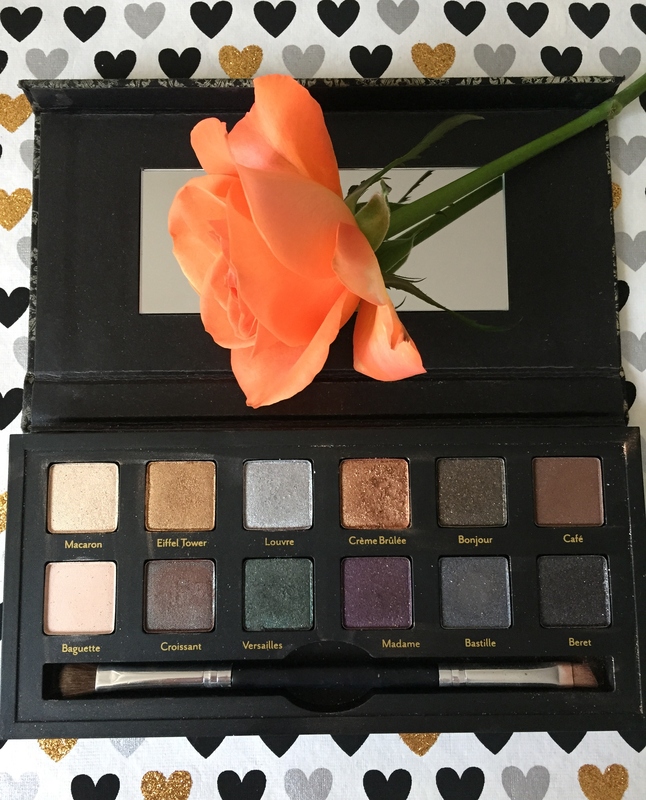 First up is of course the Cargo eye palette that I received in the June Cohorted beauty box. 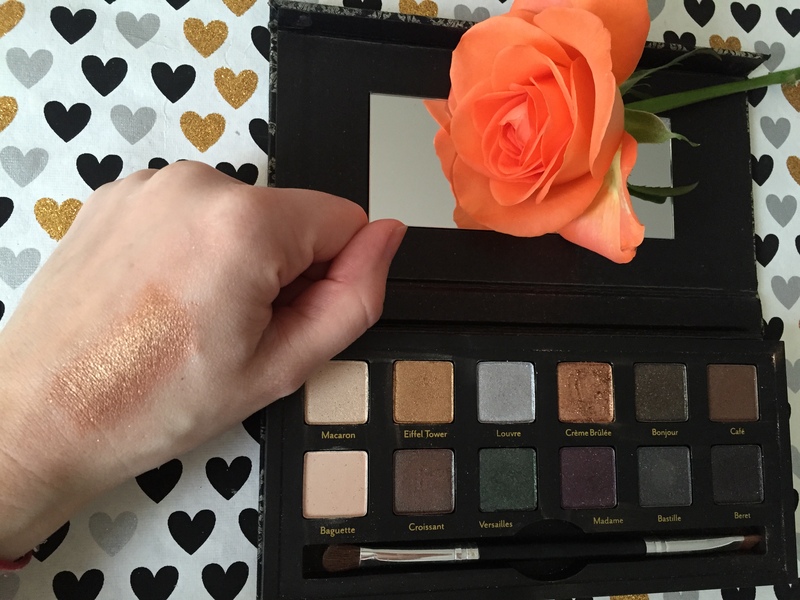 The palette that I received is the “Let’s Meet in Paris” edition which contains a variety of highly pigmented shades. Each colour is named after something French whether it be the Eiffel Tower or a tasty treat such as macarons. My particular favourite is the Crème Brulee which is a glowing shimmery bronze. I wear it in the outer corners of my eyes and underneath for a smoky look. The eye shadows last all day without having to top them up and this palette is such good value as these will all last a very long time. I’m also loving the dual application brush. It’s not often a product comes with a brush that you can or would want to use. This is definitely a luxurious product. The packaging is a classic yet simple design. The palette is covered in a felt fabric, it securely closes with a magnetic fastening and has a mirror inside. I absolutely love this and I am so glad that I have discovered Cargo. It’s definitely a brand similar to Urban Decay and will give them a run for their money. The palette retails in department stores for £35. 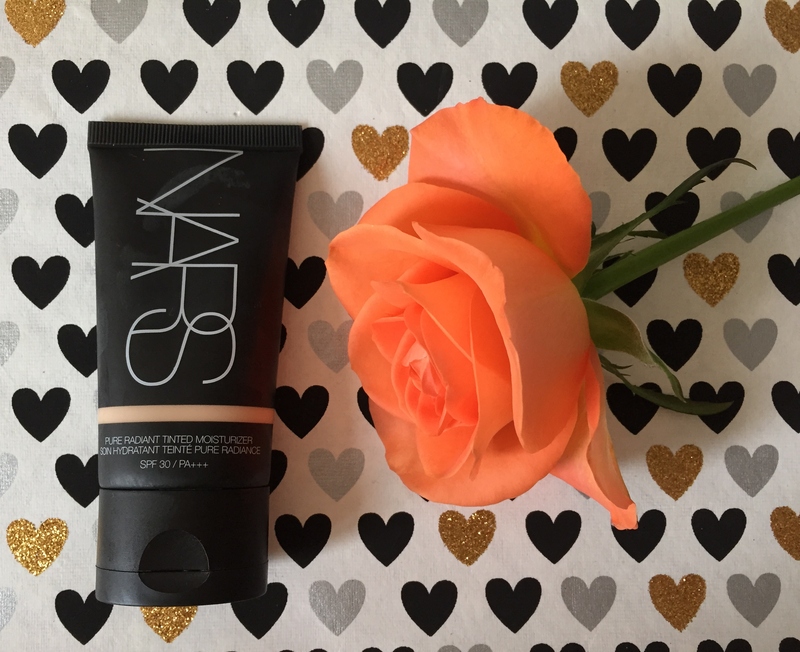 Next up is the Nars Pure Radiant Tinted Moisturiser – £29. As temperatures here in London have risen and are about to sore into the mid 30s, I think it’s time to ditch the foundation and switch it for tinted moisturiser. It doesn’t clog the skin and when you are dashing in and out of the hot sweating tubes, this product really does last. I picked up the shade Light 1 – Finland. It blends well into the skin leaving a sheer glowing finish. It also contains SPF 30 which I think is essential, particularly if you have pale skin or you’re not used to being in the sun. I had a few small pesky breakouts this month which I think was actually due to lack of sleep, too much red bull and wearing foundation in the hot weather. 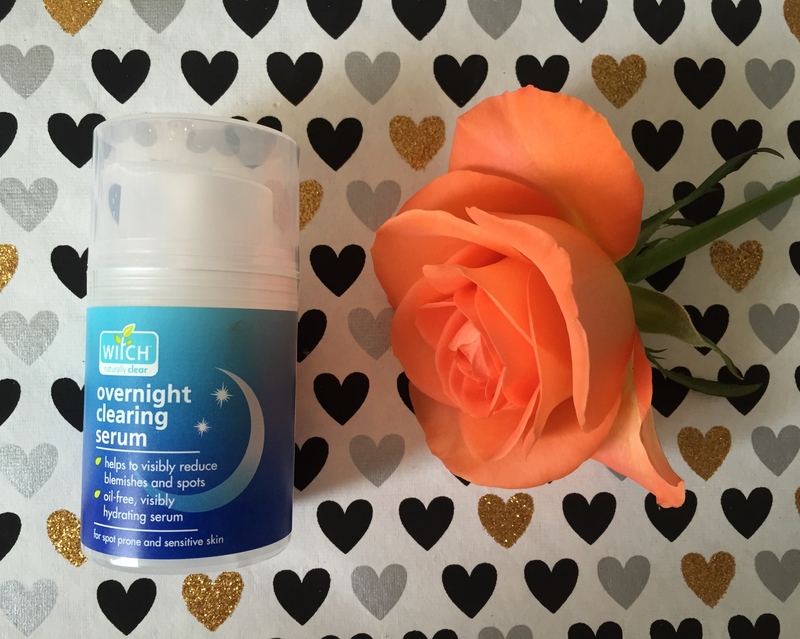 I picked up the Witch Overnight Clearing Serum – £5.99. It is designed to help reduce the appearance of blemishes and pimples whilst helping to prevent future breakouts. It a light weight gel formula which is hydrating and oil free. This actually worked wonders on my skin and cleared up the majority overnight, for some red marks it took around three nights to work. Does anyone remember the candy lipstick that you would get in a pick ‘n’ mix when you were younger? 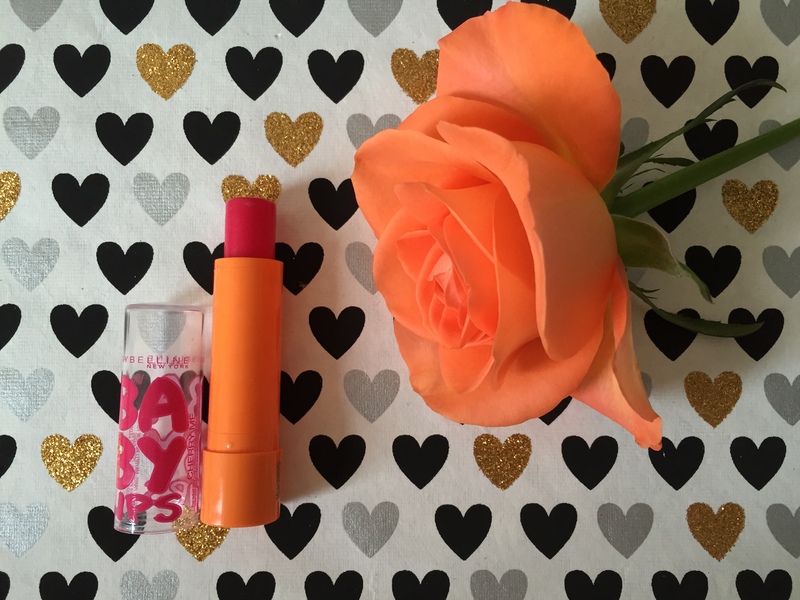 Well the Maybelline Baby Lips – £2.99 smells exactly like that!! I picked up the shade Cherry Me, which looks like a dark pink. 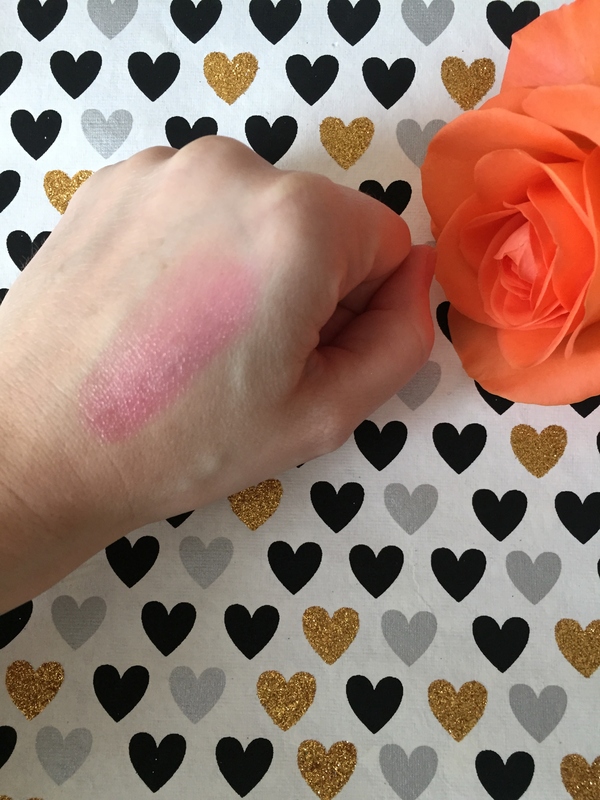 On application it leaves a subtle rosy pink lip tint and really does hydrate and moisturise your lips. I particularly like it for when I don’t want an overly made up look, or when I’m going to the gym with no make on. Also, it is handy for giving your cheeks a bit of a glow should you not have any blusher or bronzer with you on your travels. 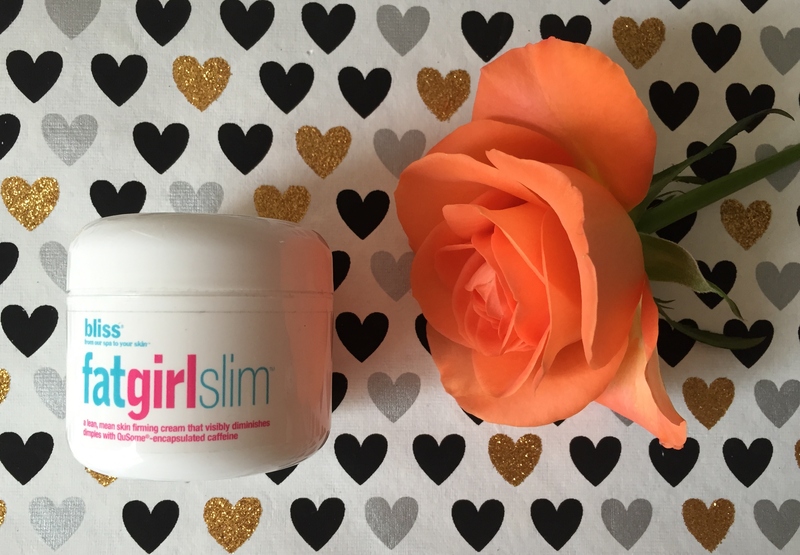 Finally, this month I have been loving the Bliss Fat Girl Slim Body Firming Cream – £29.50. It is a light weight watery solution which contains caffeine which if applied daily will make the skin look and feel firmer, whilst toning and reducing the appearance of cellulite. I have been applying it morning and night, where I just rub it into the skin in circular movements for 30 seconds. I have been working out more and using a body brush which I think has contributed to the overall appearance of my legs but I do like this. 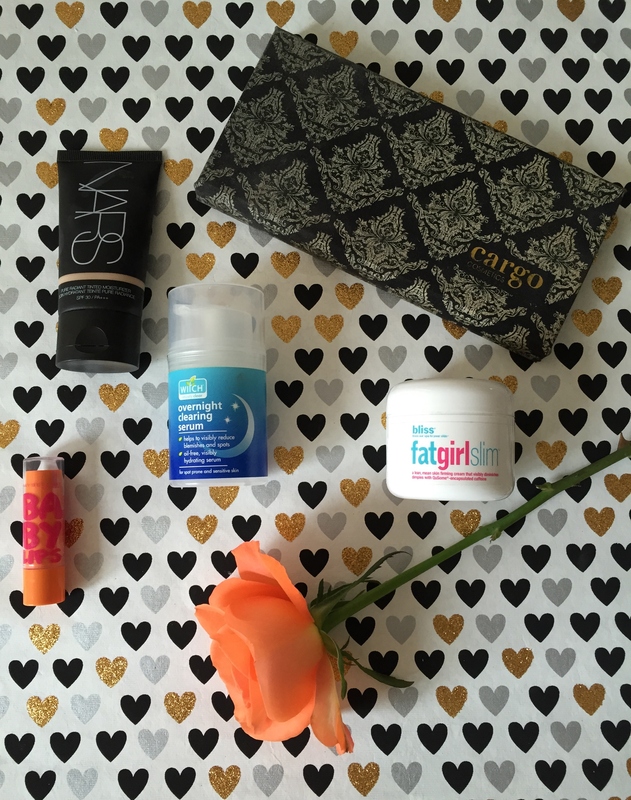 Let me know which items you were loving this month. If you have tried any of the products above, I’d love to know your thoughts. And of course, if there are any products that you would recommend I would love to hear what they are.